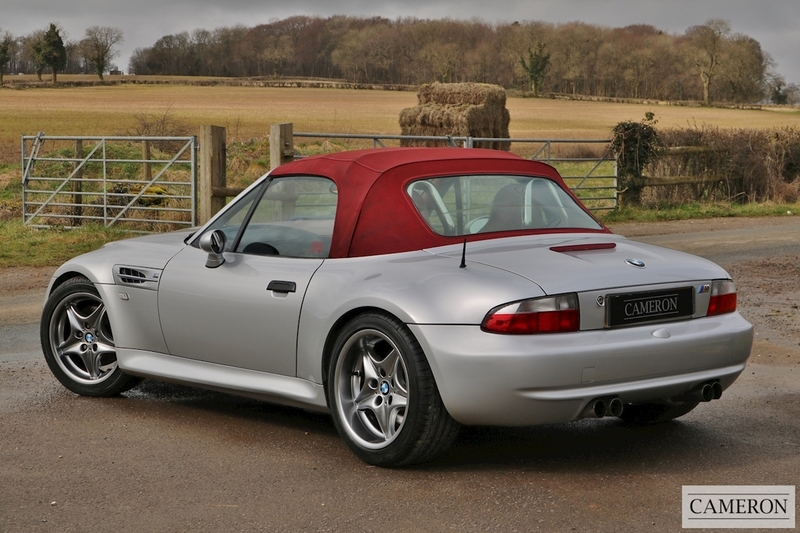 The iconic M Roadster was first unveiled at the 1996 Geneva motor show, though production did not begin until later that year. 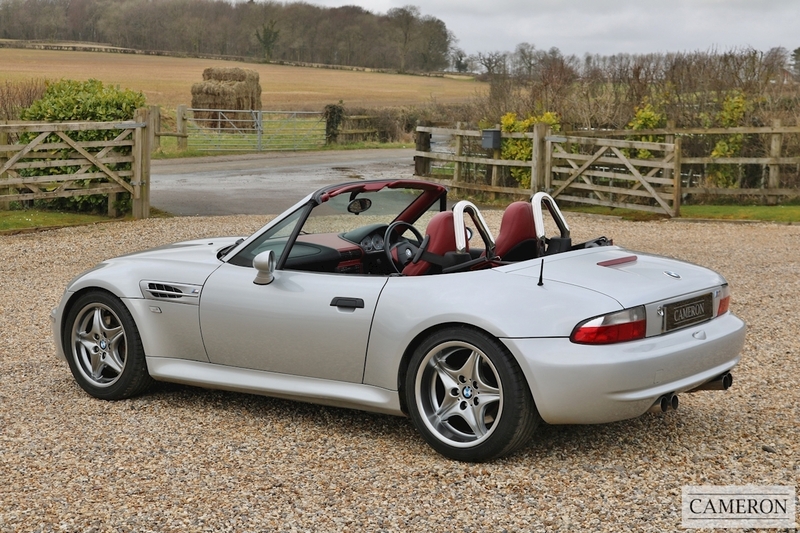 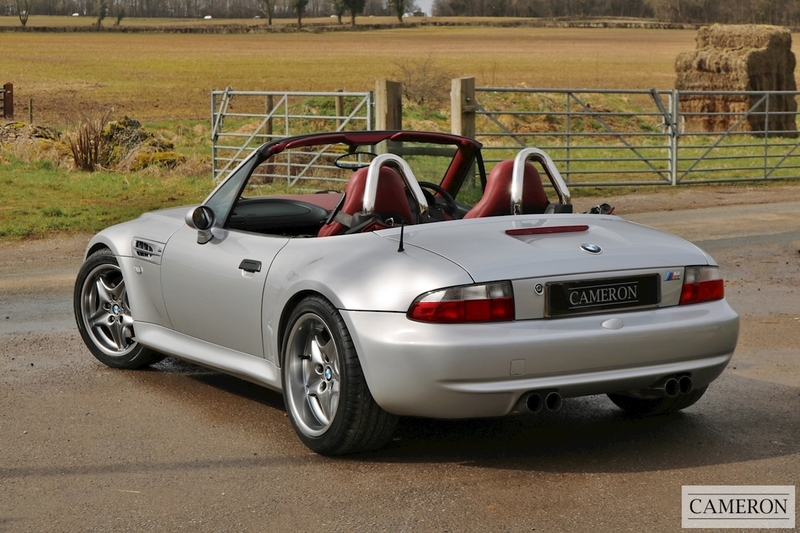 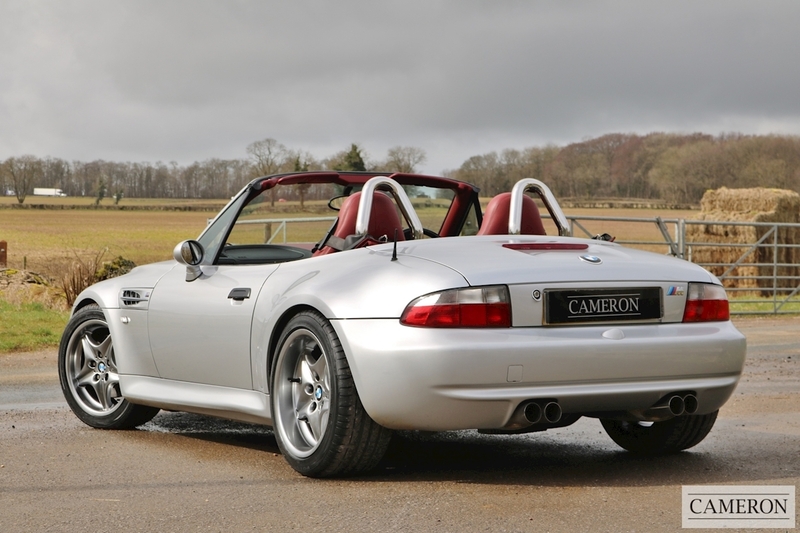 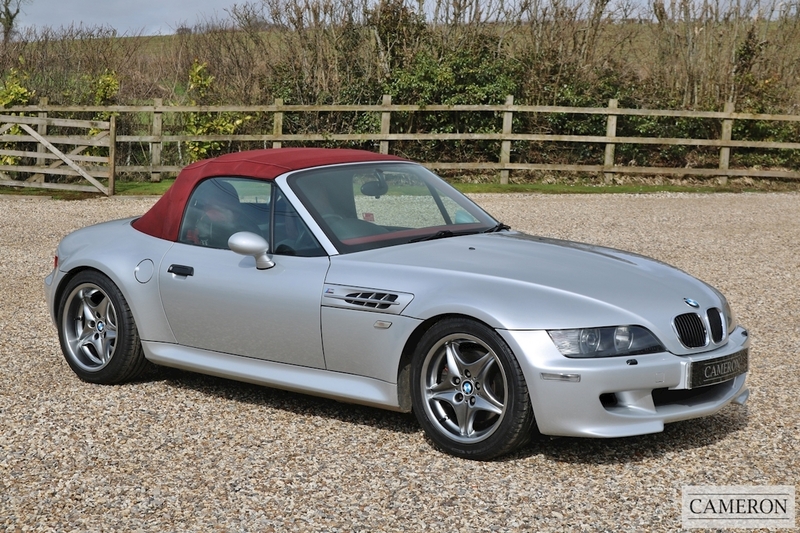 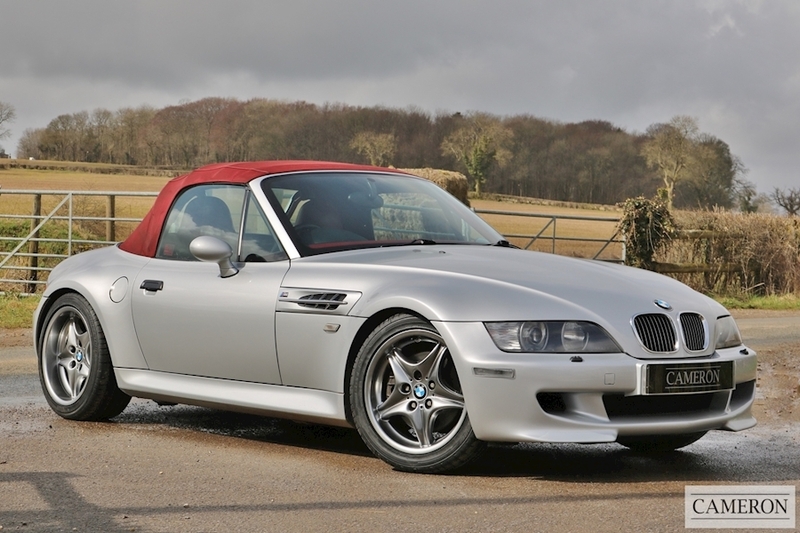 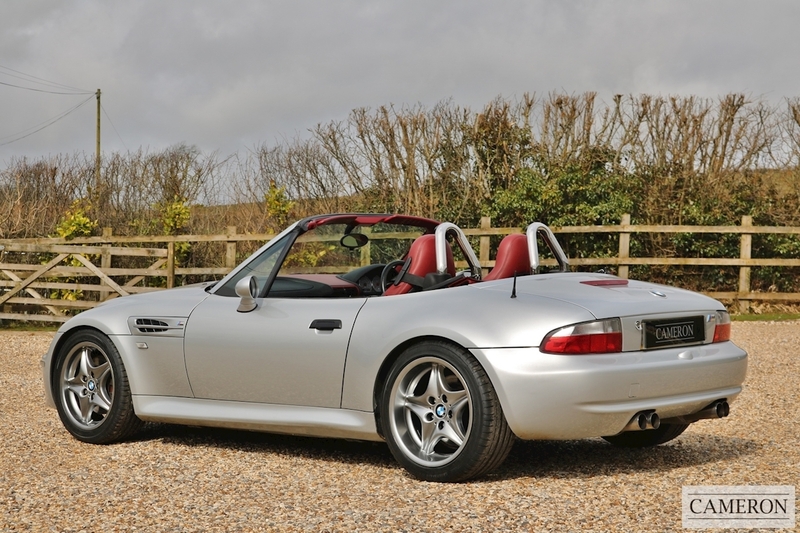 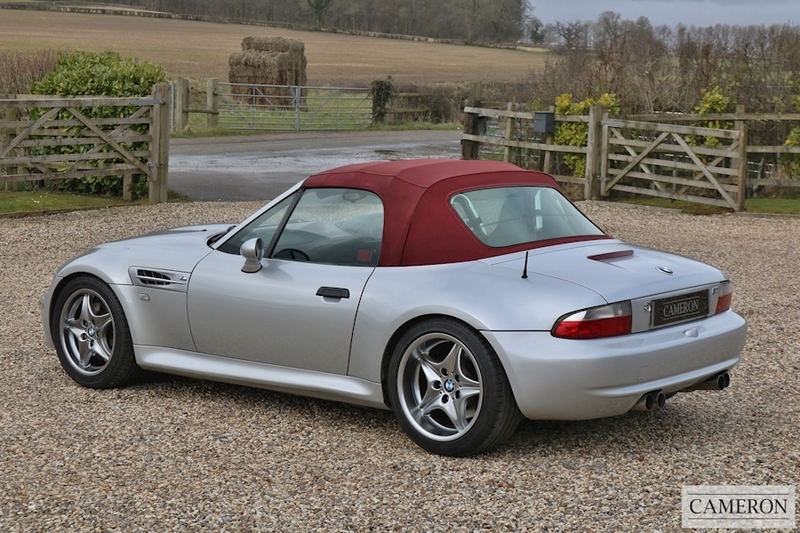 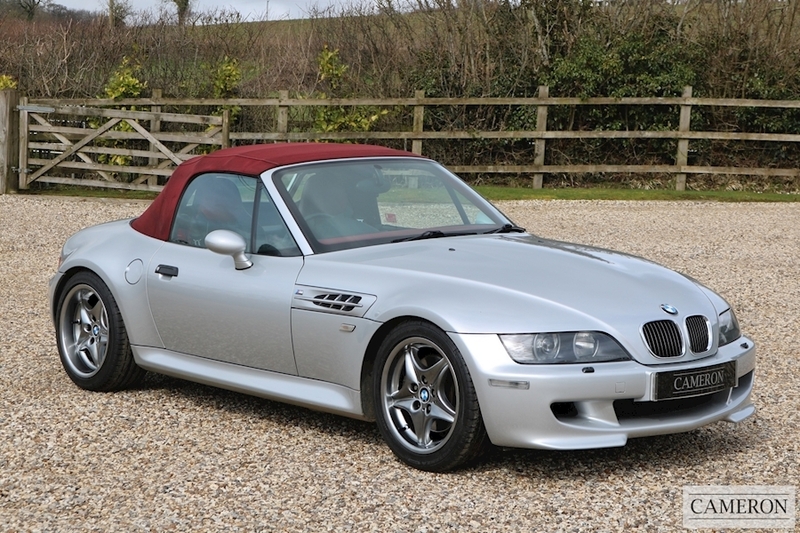 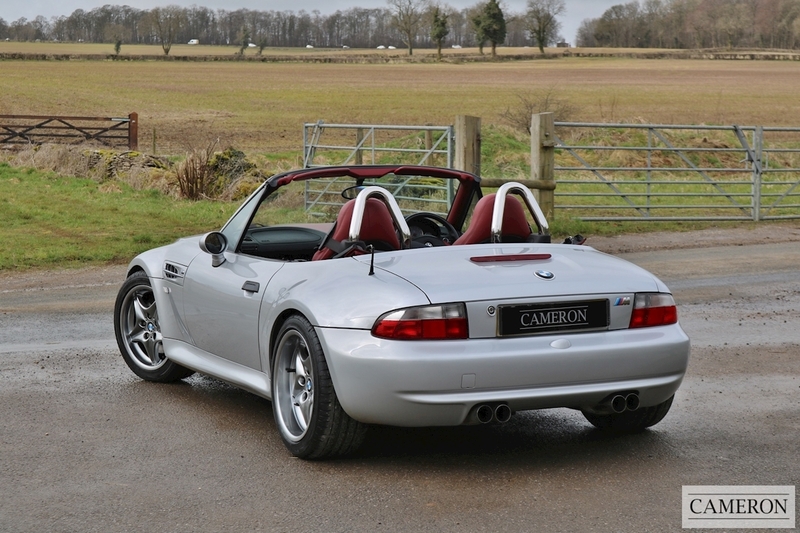 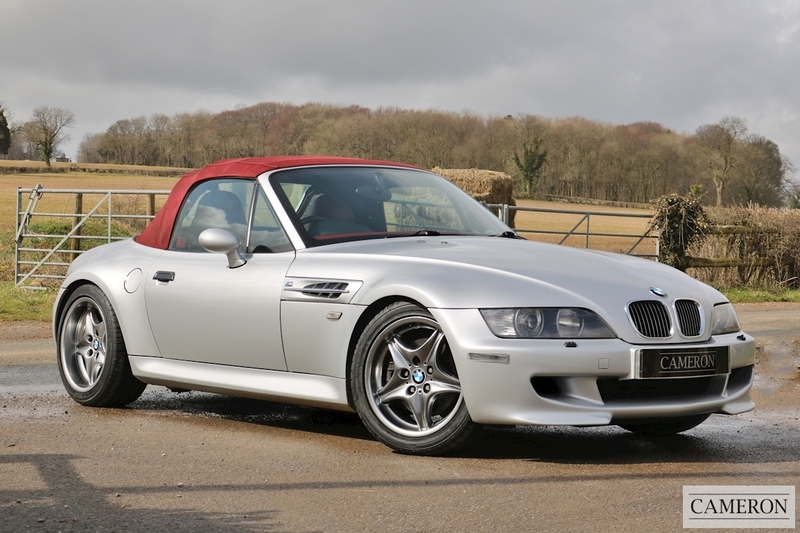 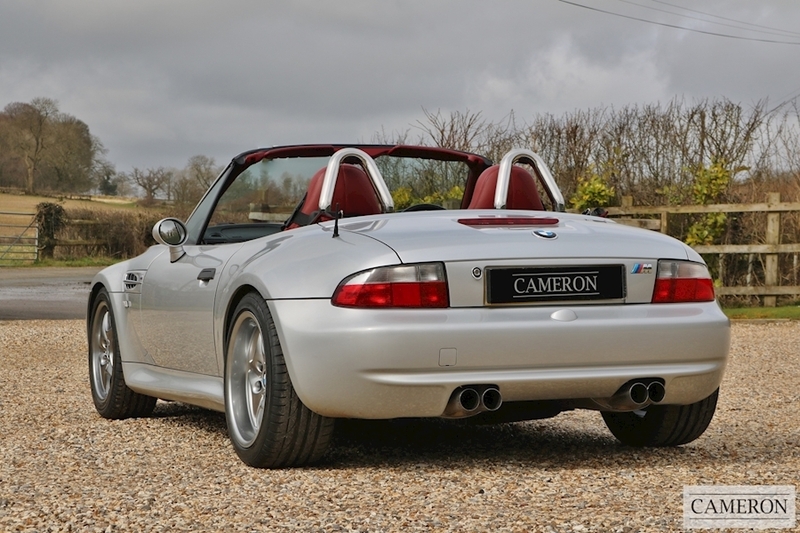 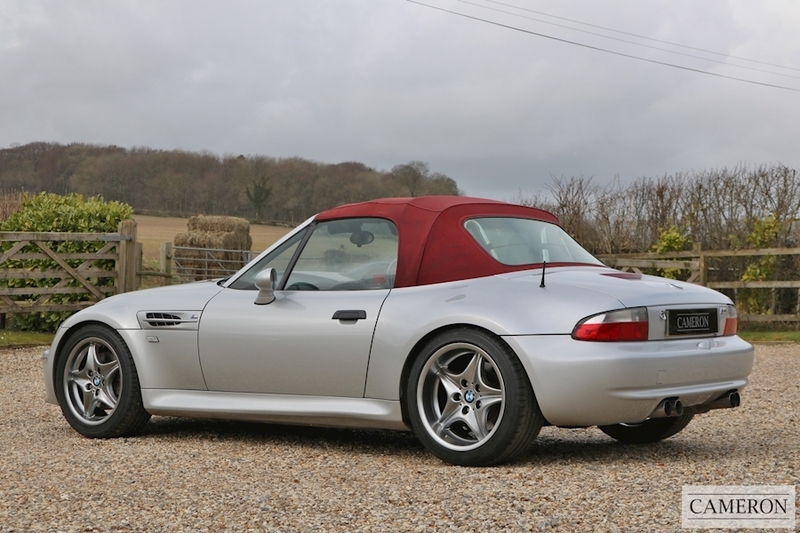 It was designed as the performance version of the BMW Z3, and there were significant differences between the two variants including front and rear bumper modifications, and other subtle asthetic changes. 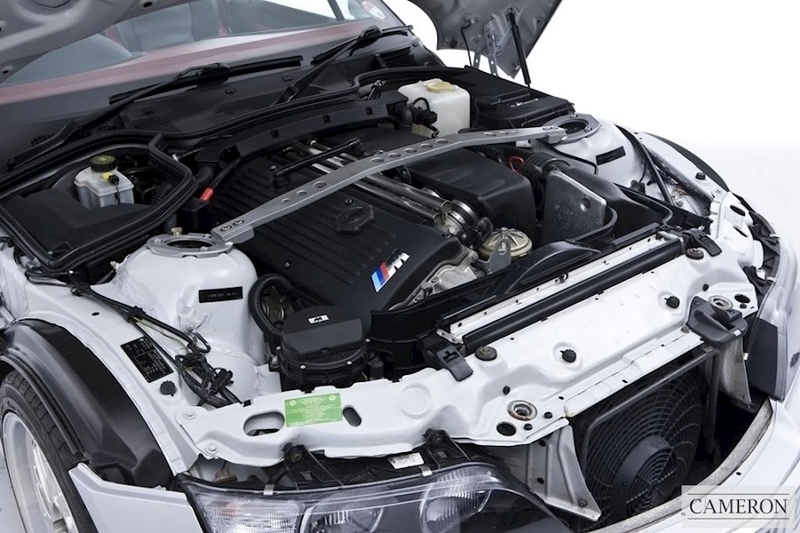 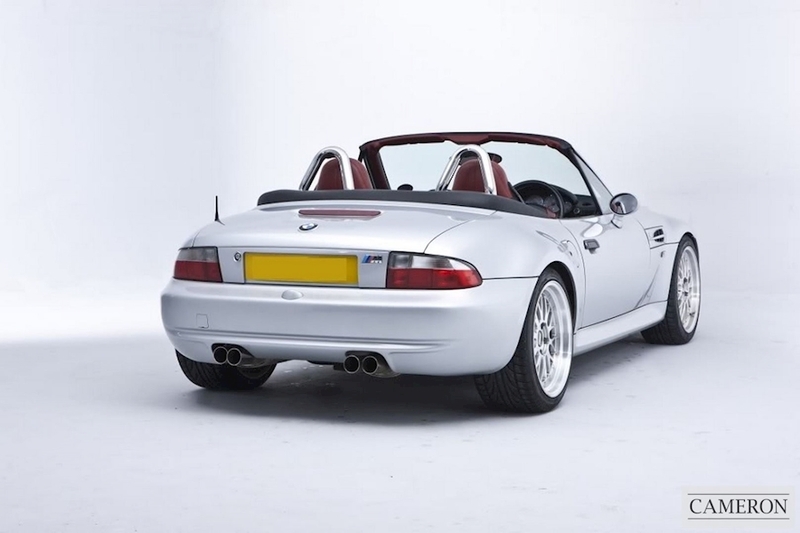 Under the skin many of the components were beefed up with the rear suspension being derived from the E30 M3 and the front suspension and brake system being taken from the E36 M3 Evo. 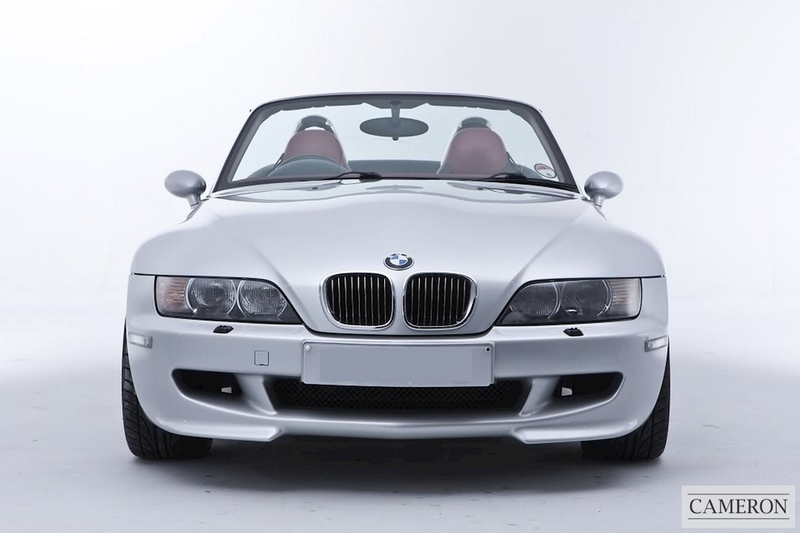 Based on the E36 platform, the Z3 Roadster was known internally as the E36/7. 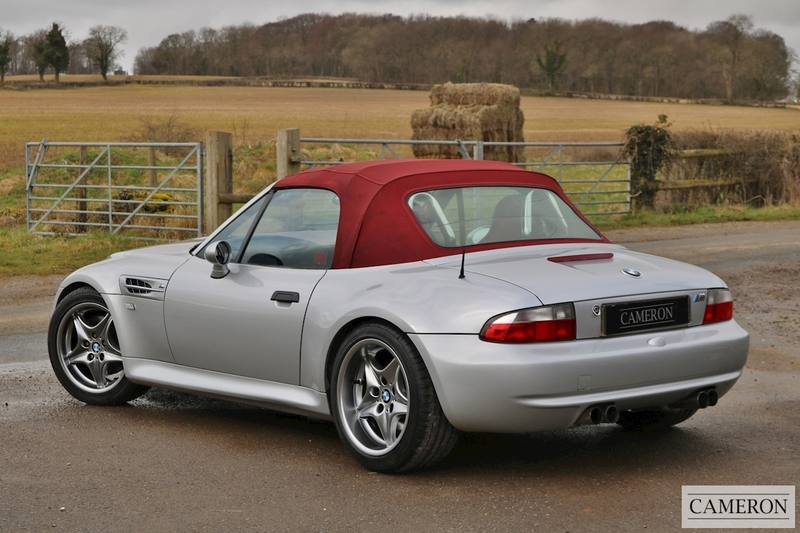 The M Roadster could run a wider track under the flared wheel arches as well as wider wheels and tyres to try to tame the increased power. 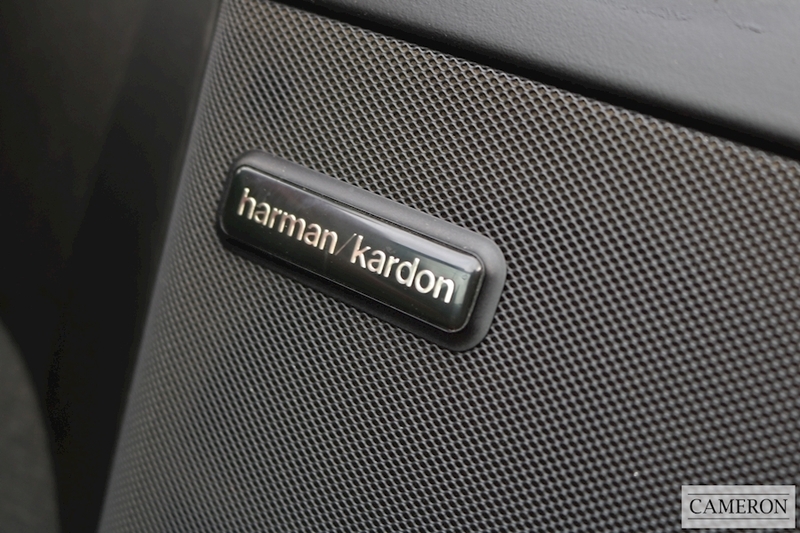 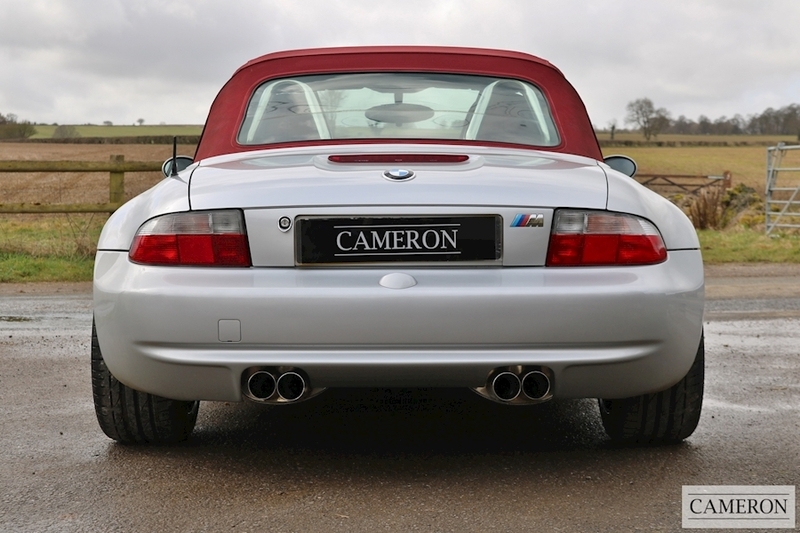 A dual exhaust system fed each set of three cylinders to two dual tailpipes. 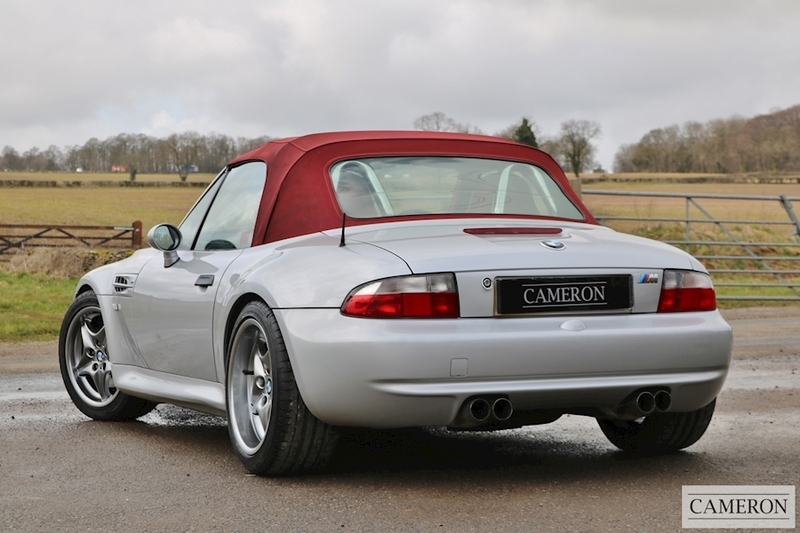 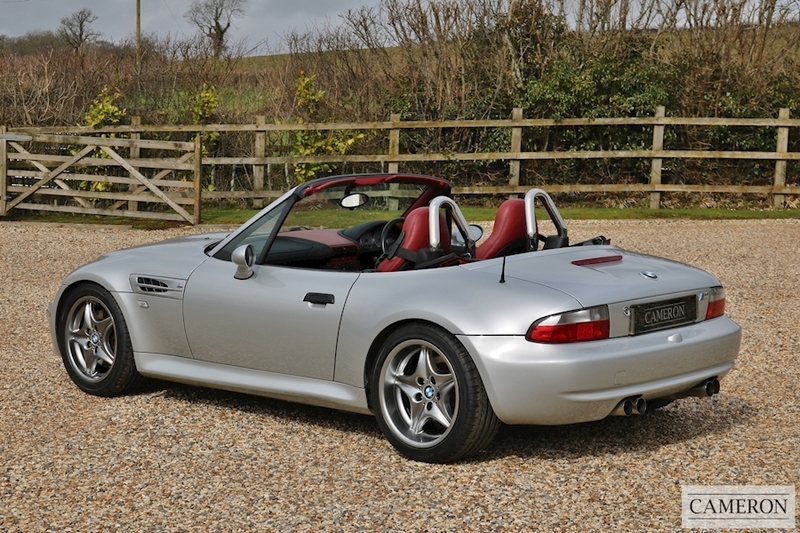 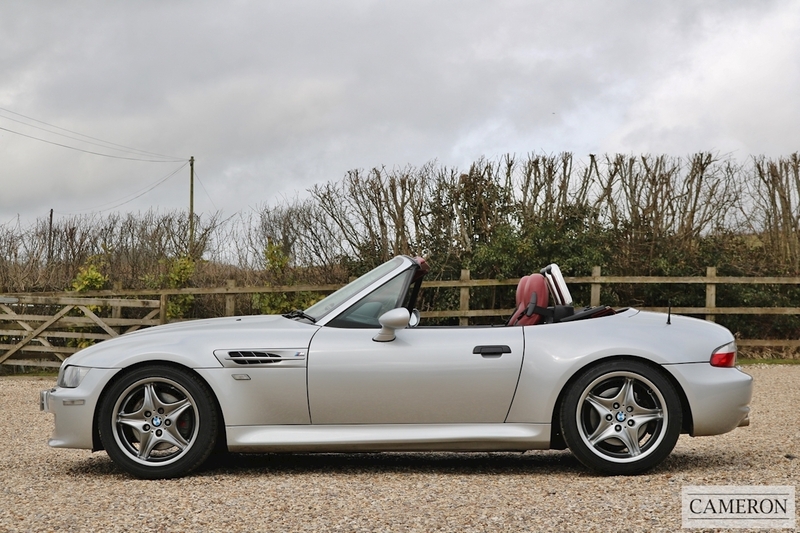 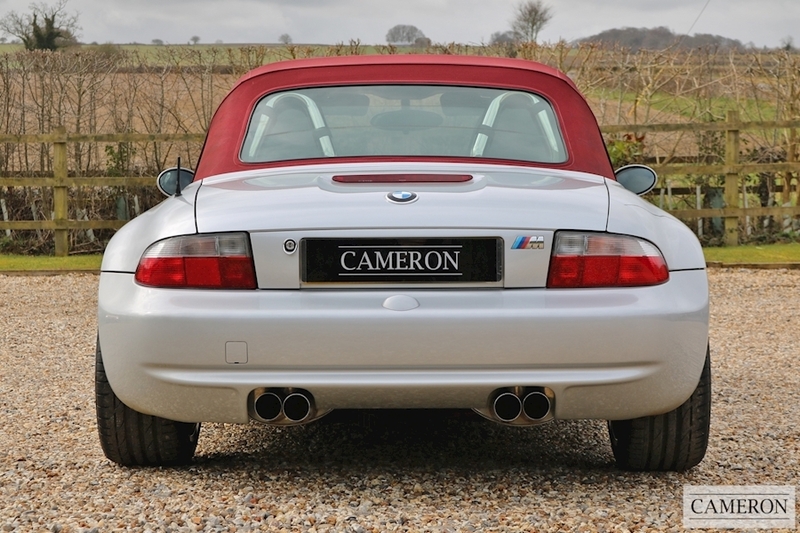 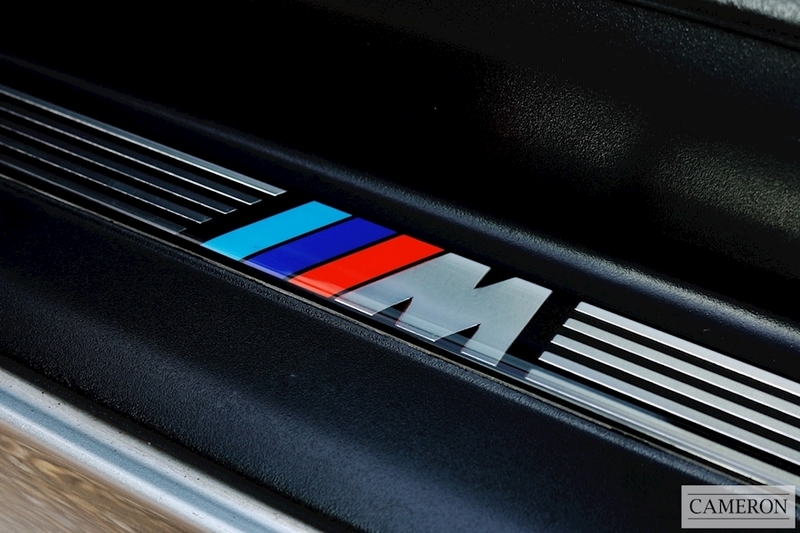 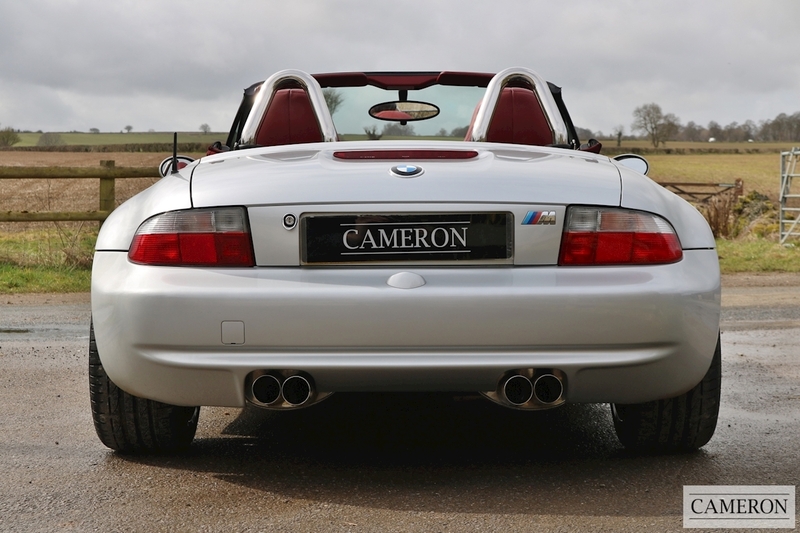 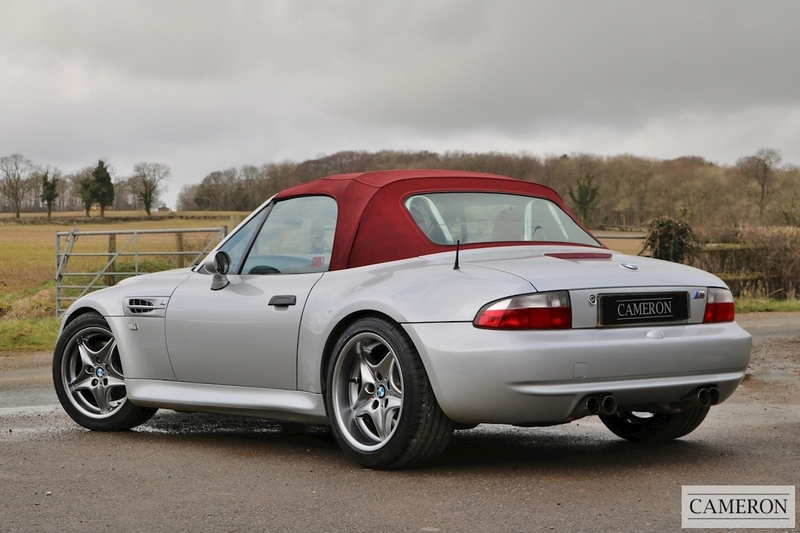 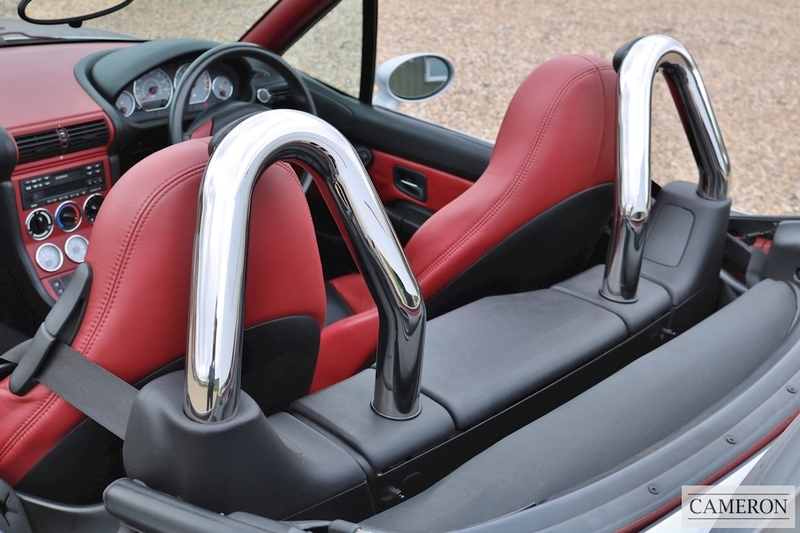 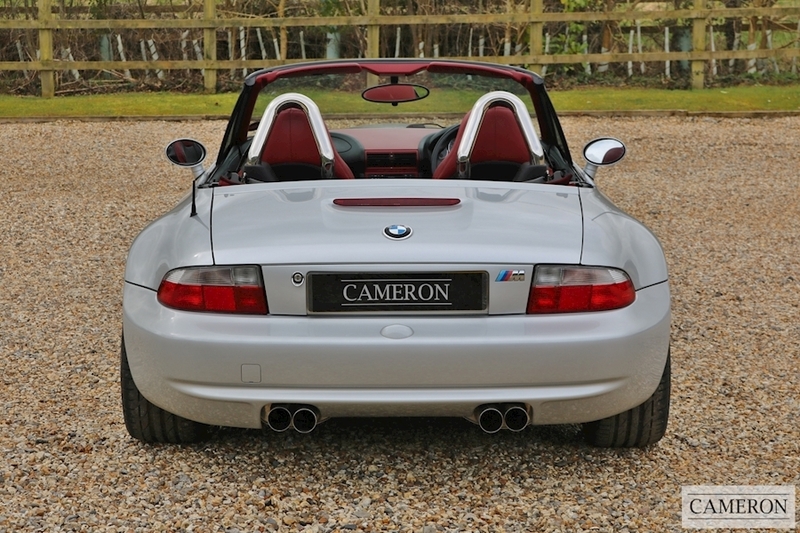 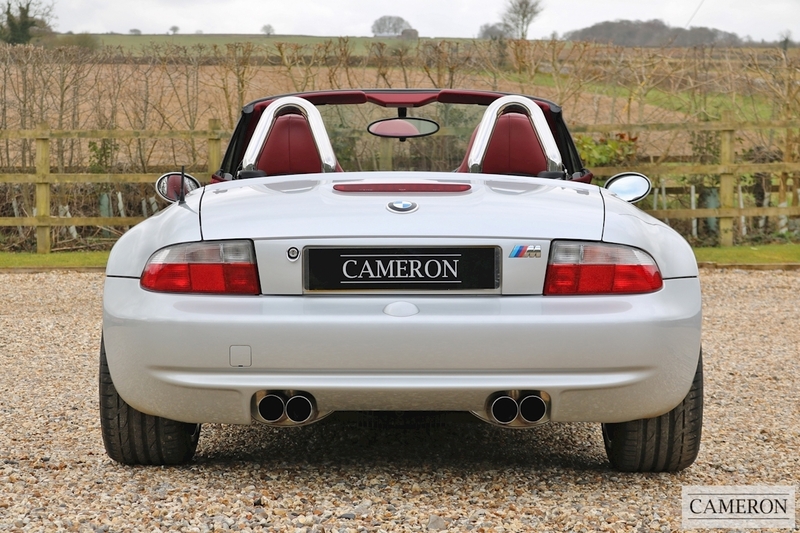 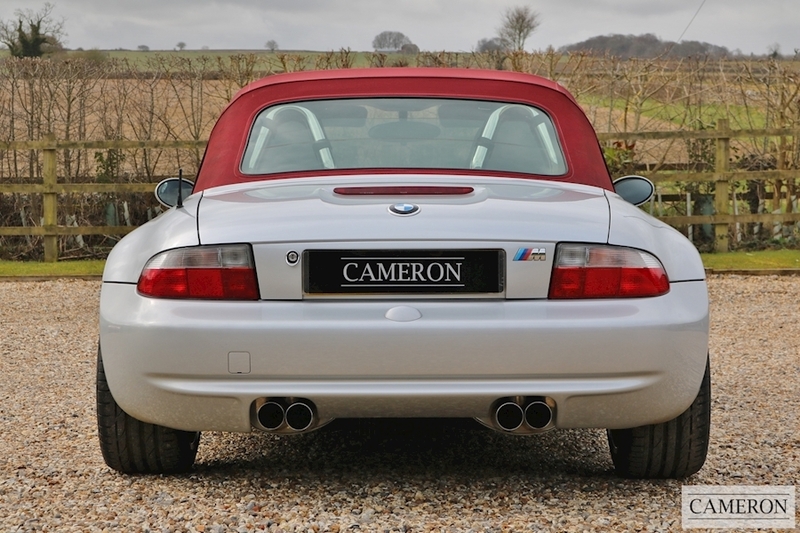 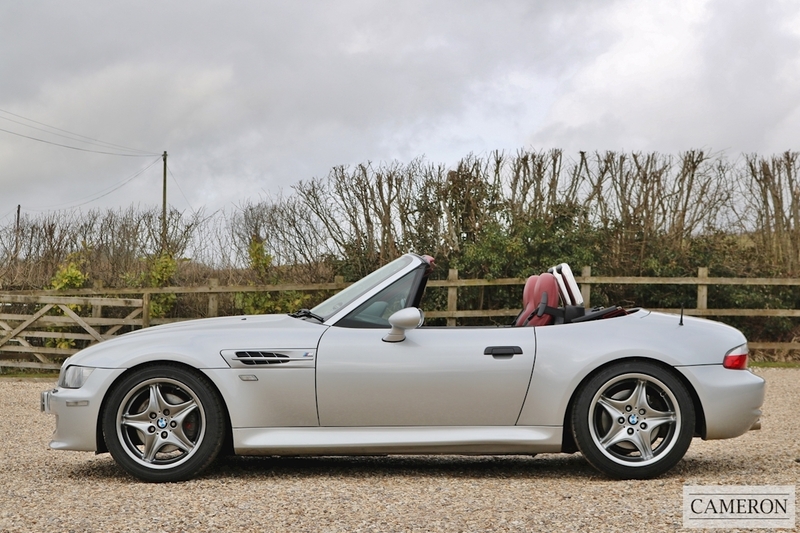 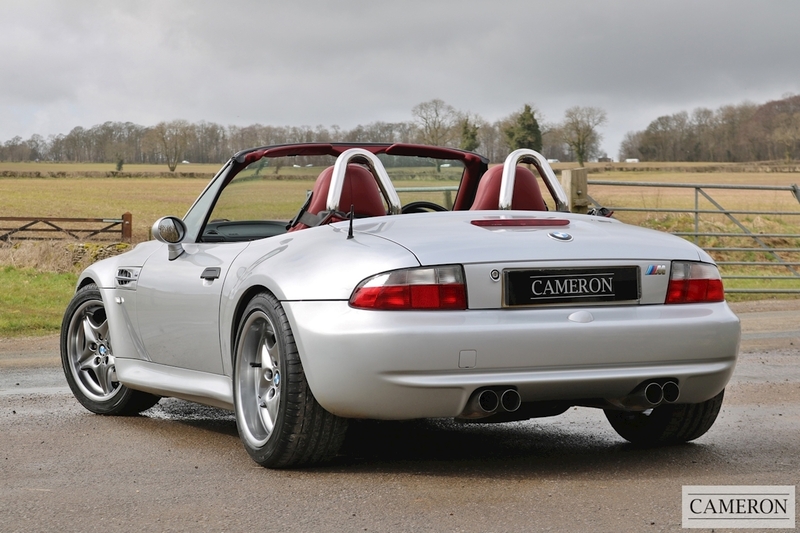 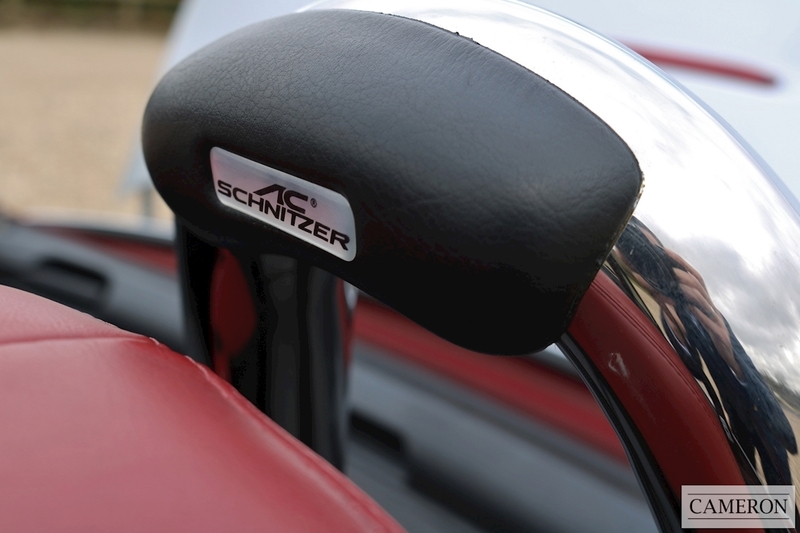 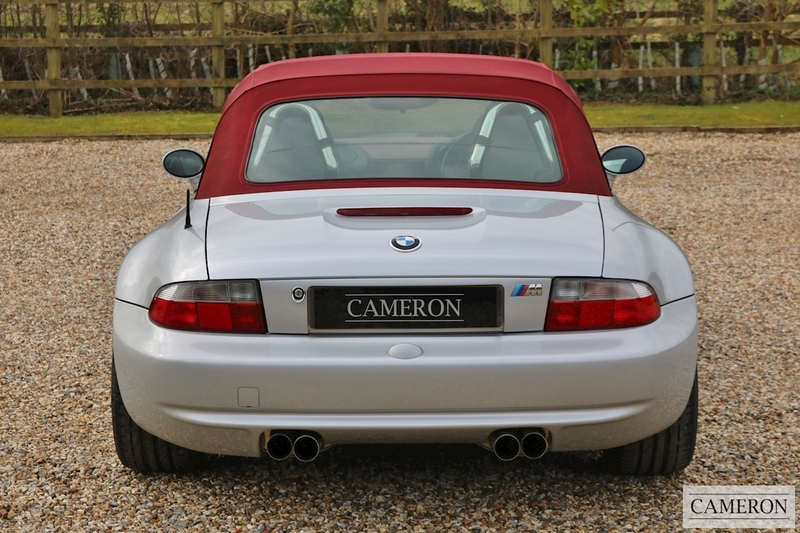 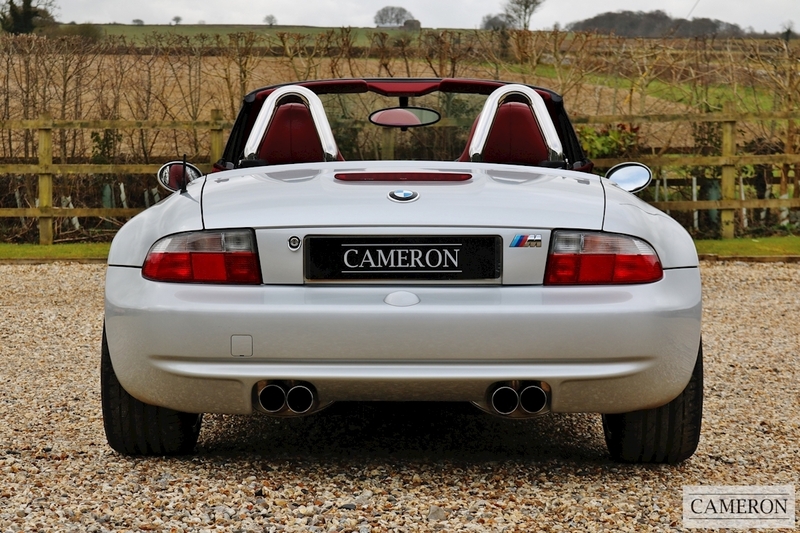 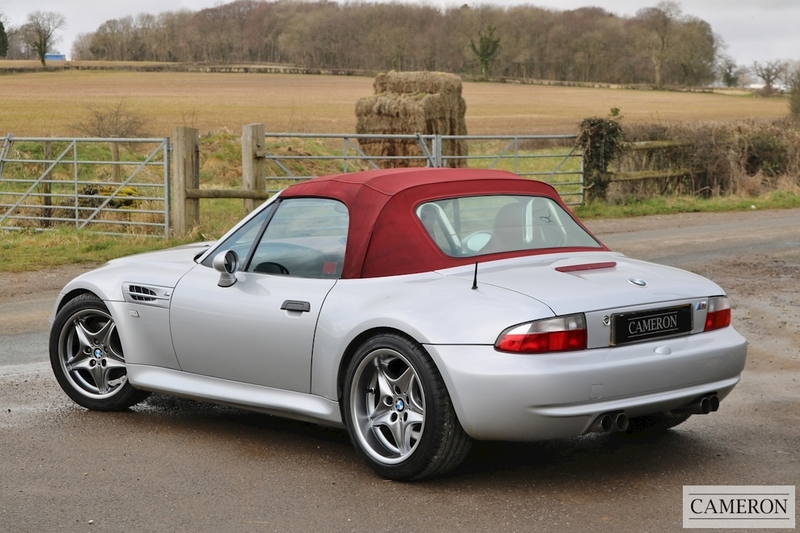 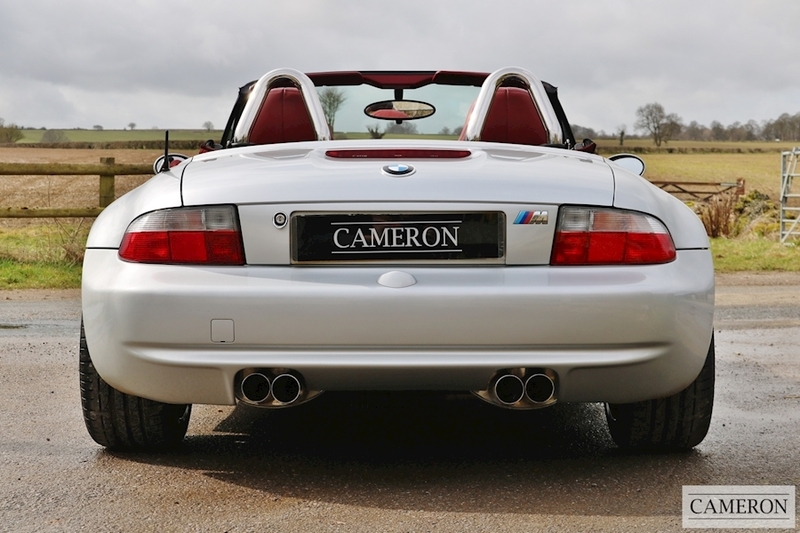 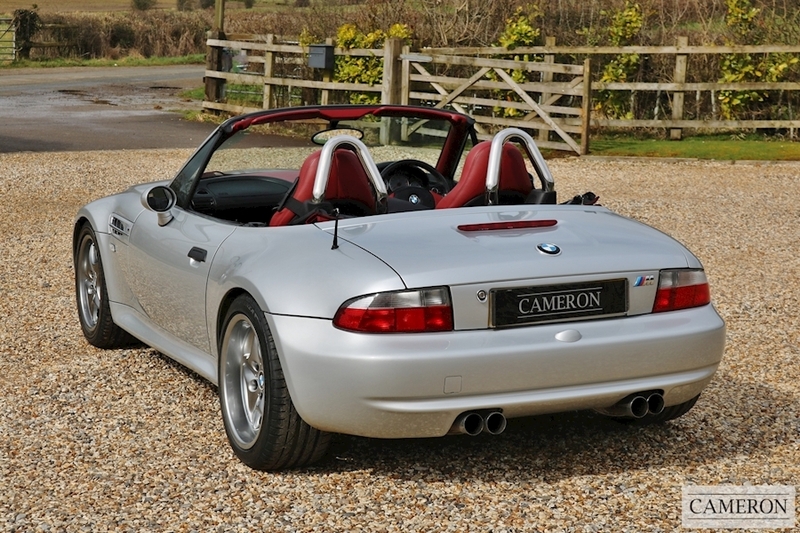 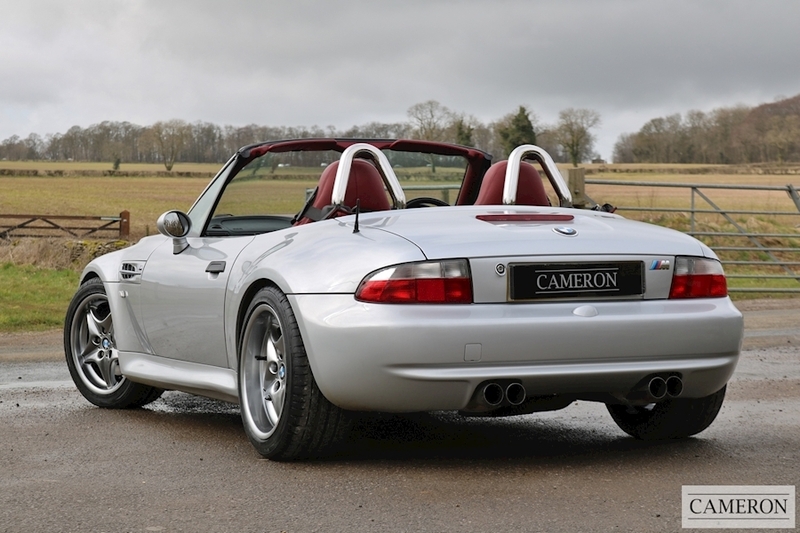 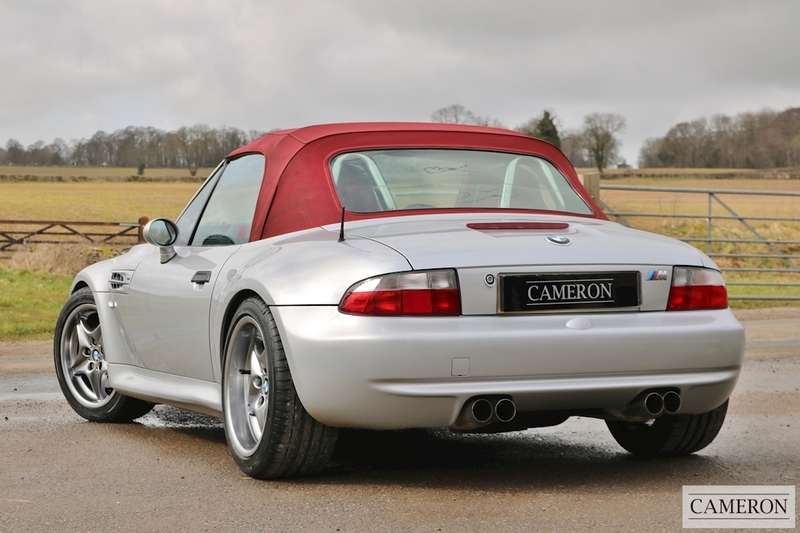 The Z3 M roadster was the first BMW to feature this quad exhaust design, which has since become a BMW M division signature. 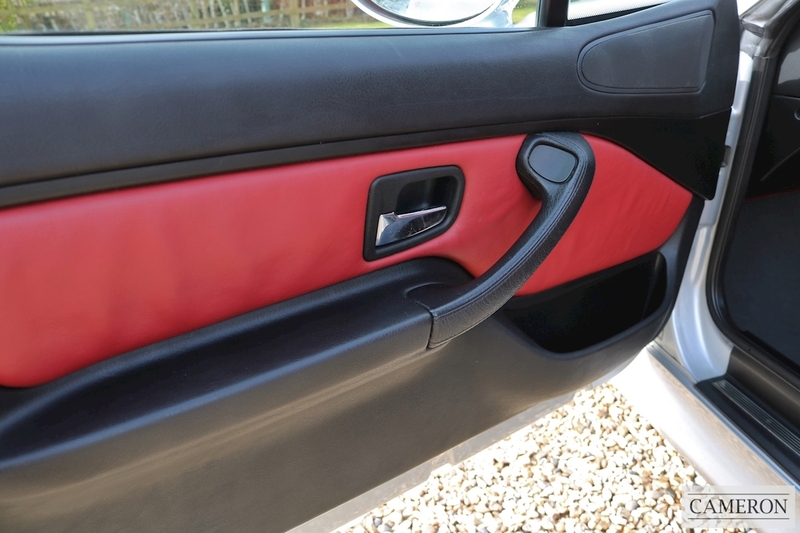 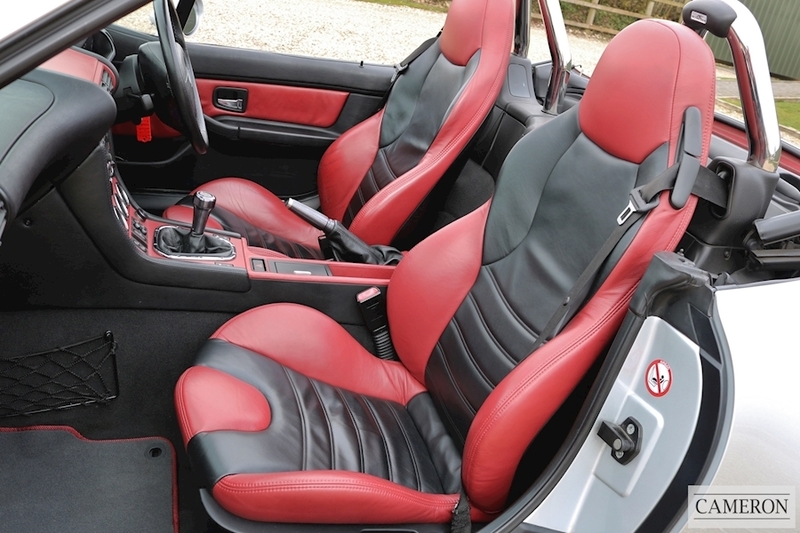 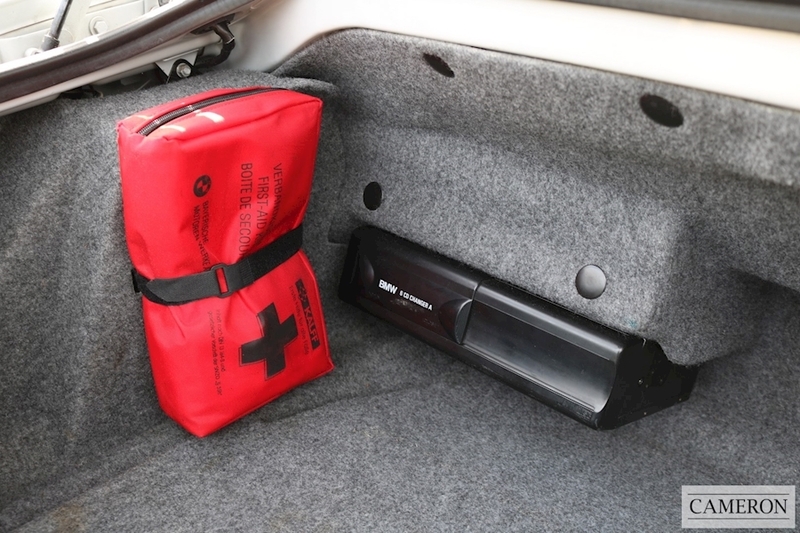 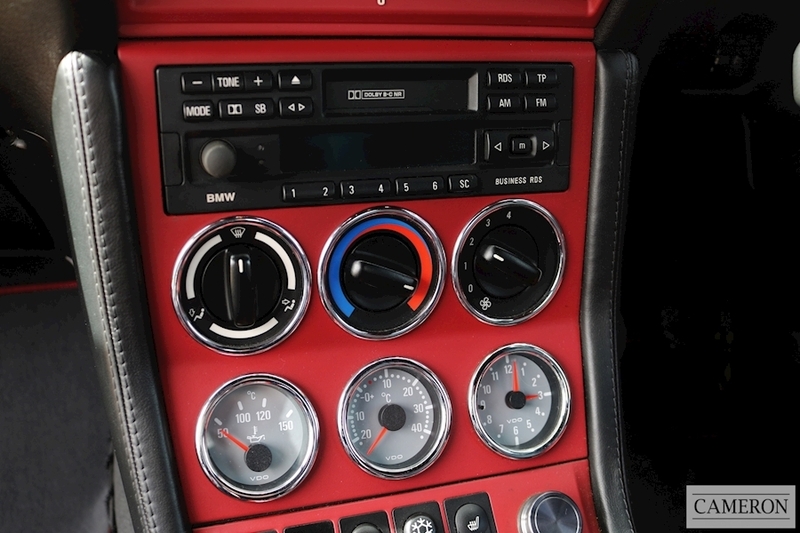 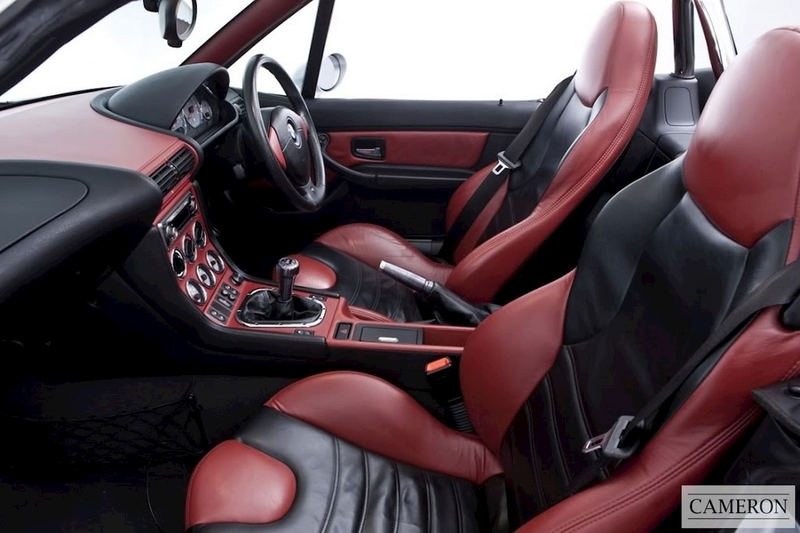 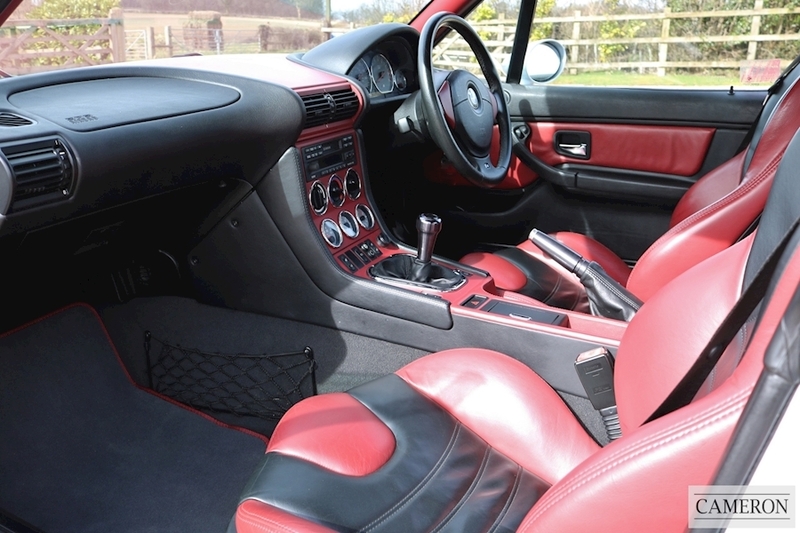 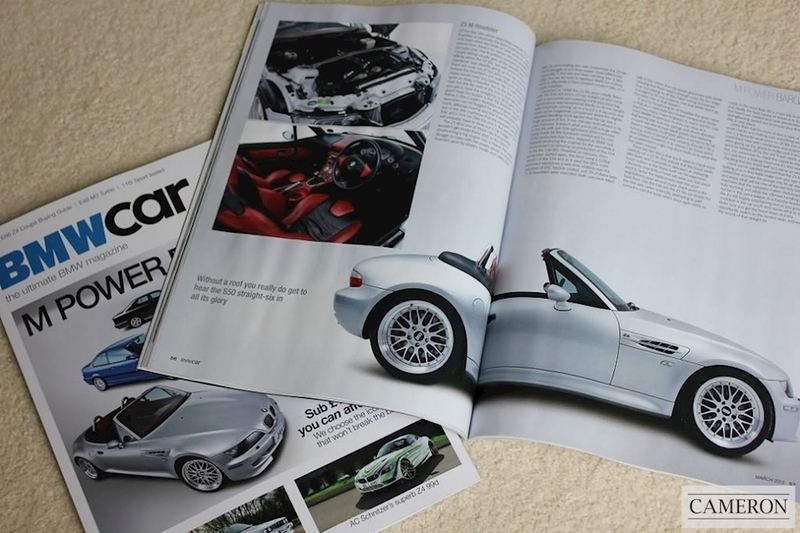 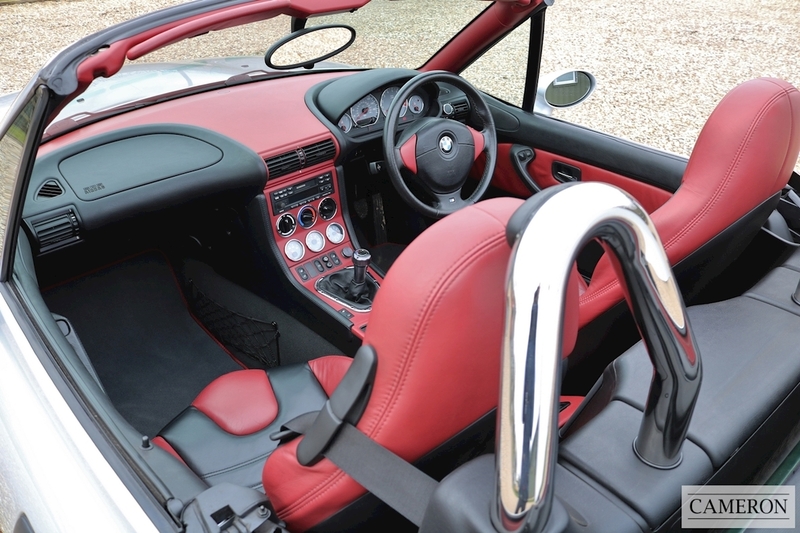 The interior had a different look to the standard Z3. 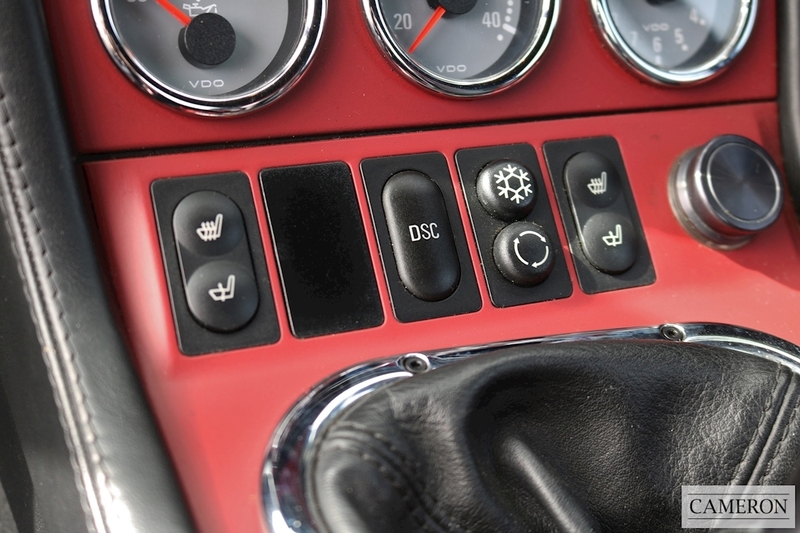 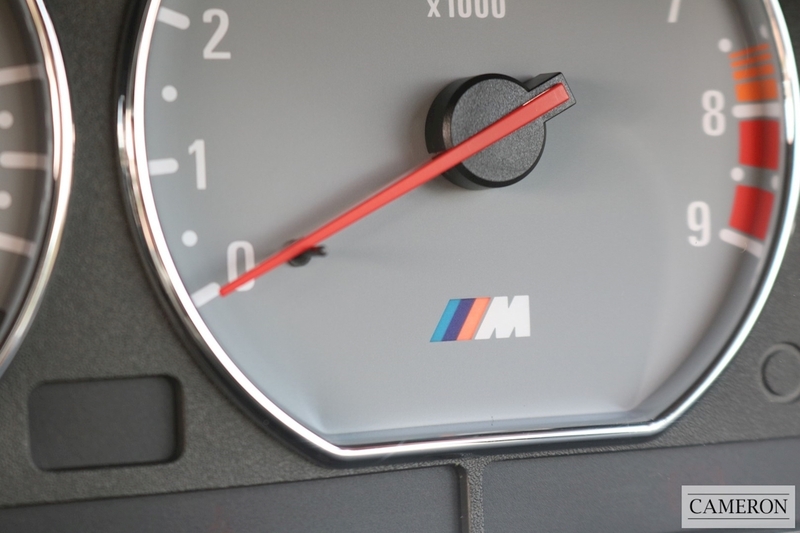 The sport package M-version steering wheel was standard on the M, and there was different instrumentation such as an oil temperature gauge. 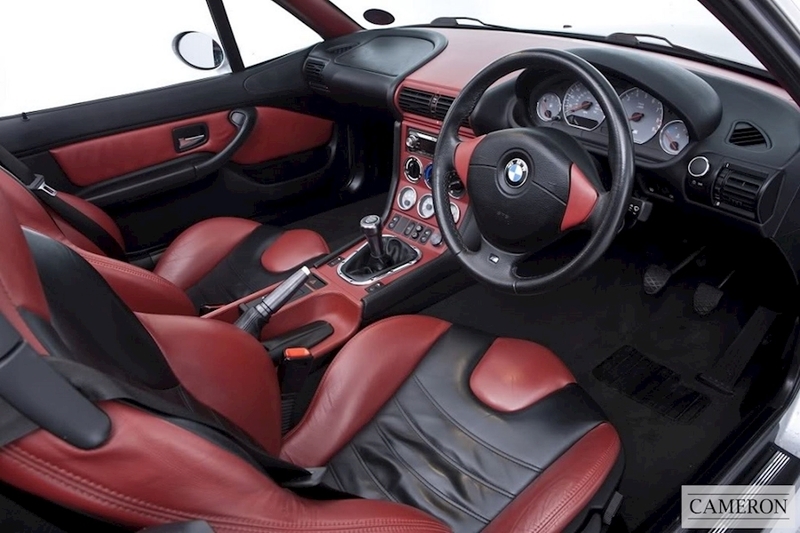 Finally, the car was available in M-specific colors, which were not released for the regular Z3, at least in the early production years (not counting BMW's Individual program). 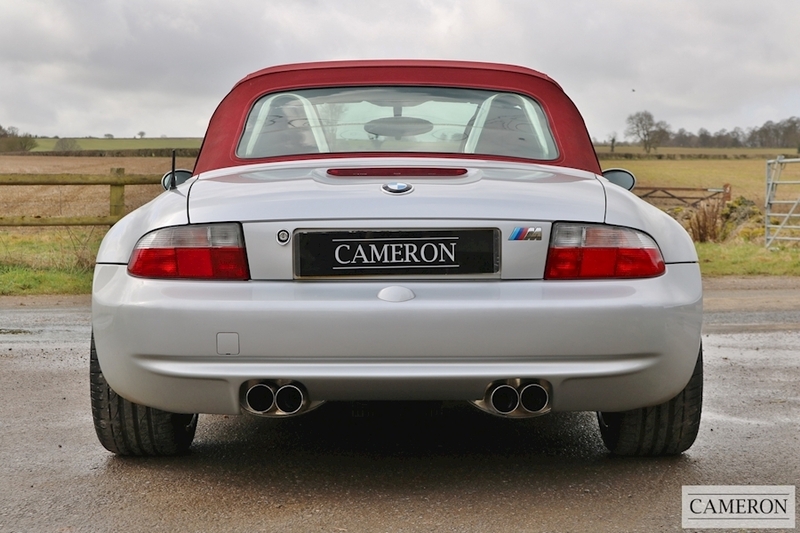 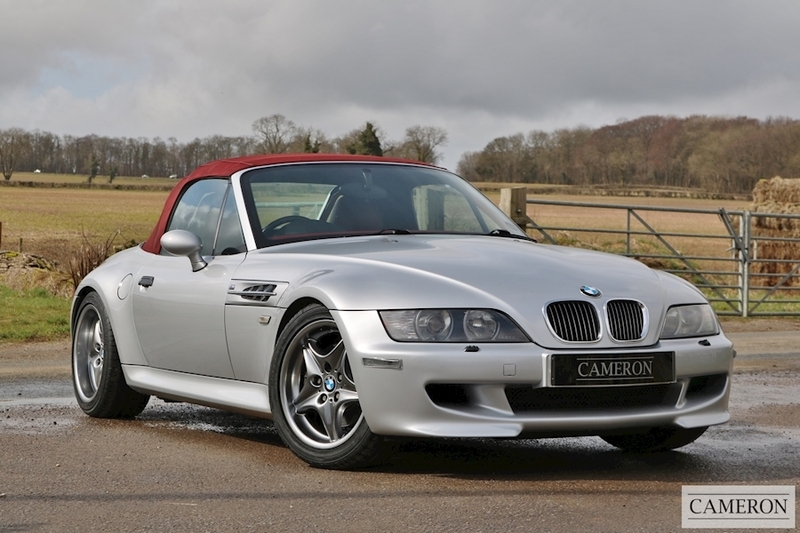 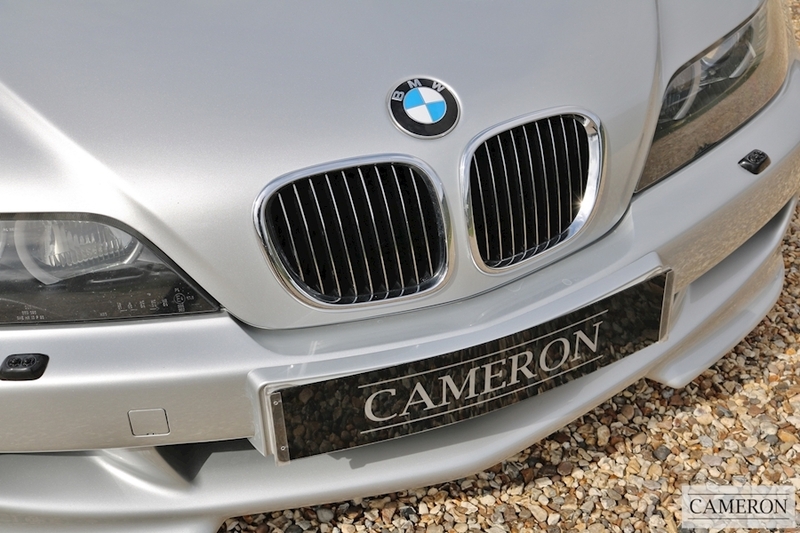 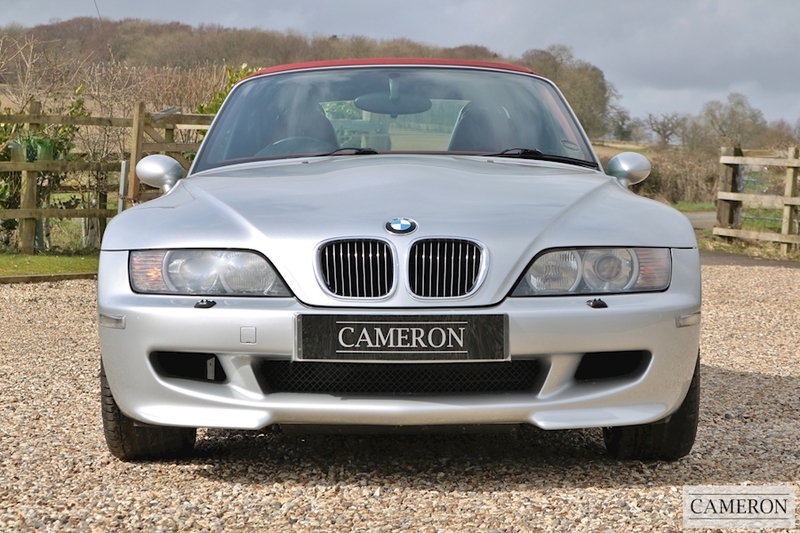 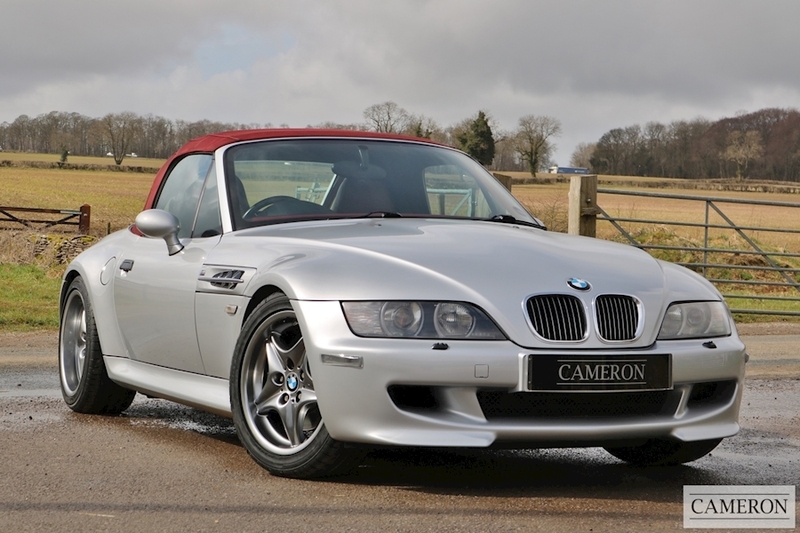 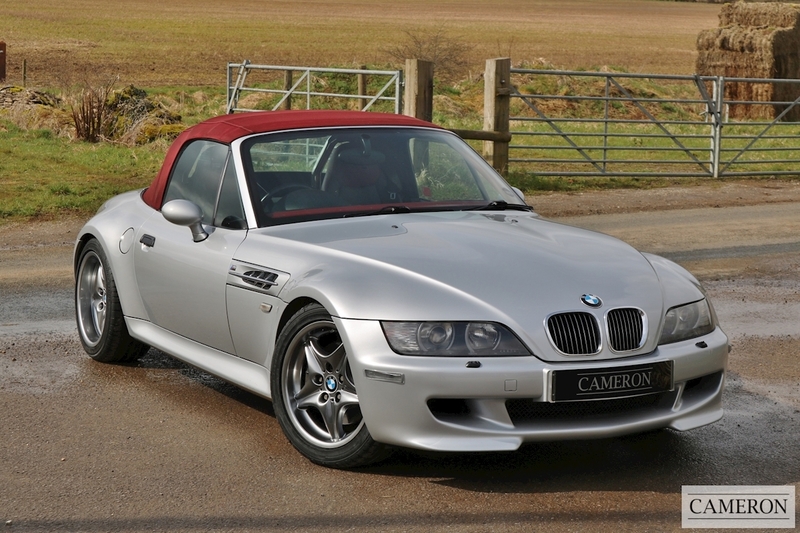 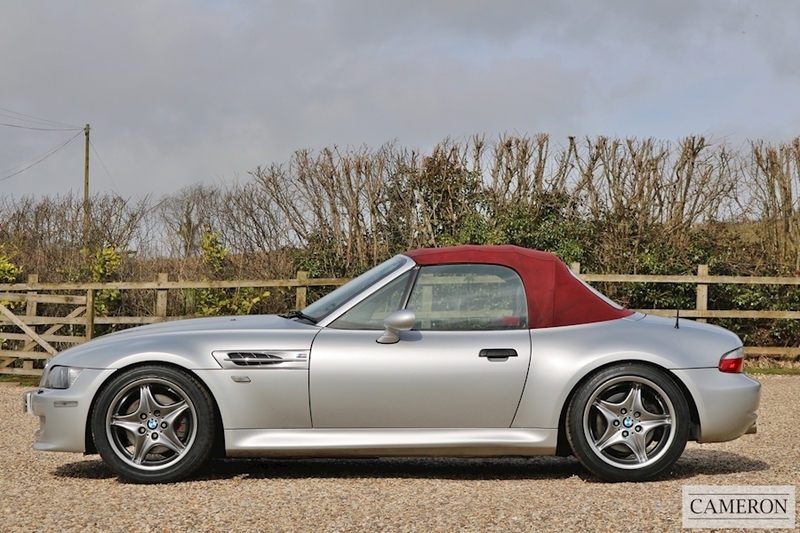 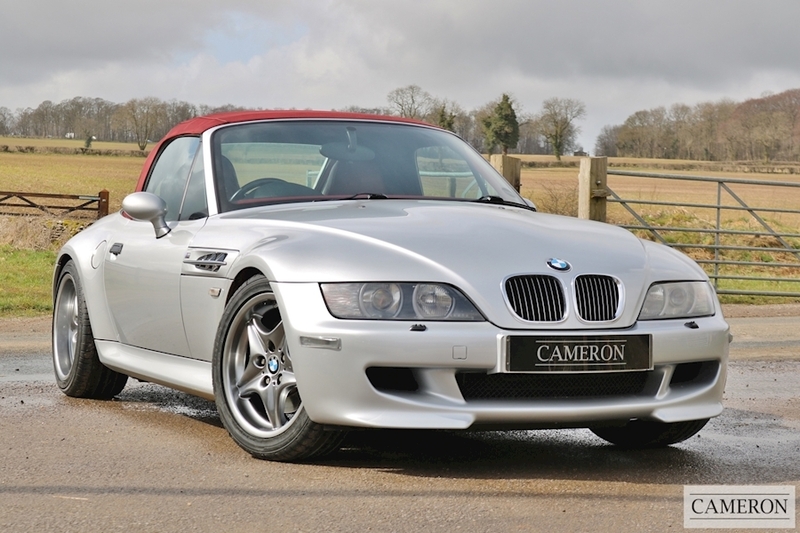 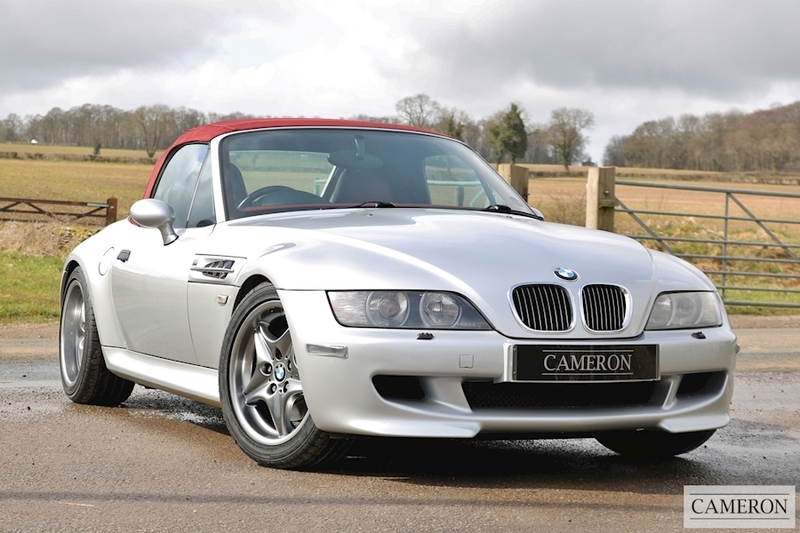 Only 73 right-hand drive S54 engined examples of the Z3M were ever produced by BMW, and that rarity will inevitably result in them becoming a solid investment for any enthusiast.